My baby boy turns one this week. It’s been an emotional and beautiful ride. Many things have changed, and one of them is surely my browsing history, haha. 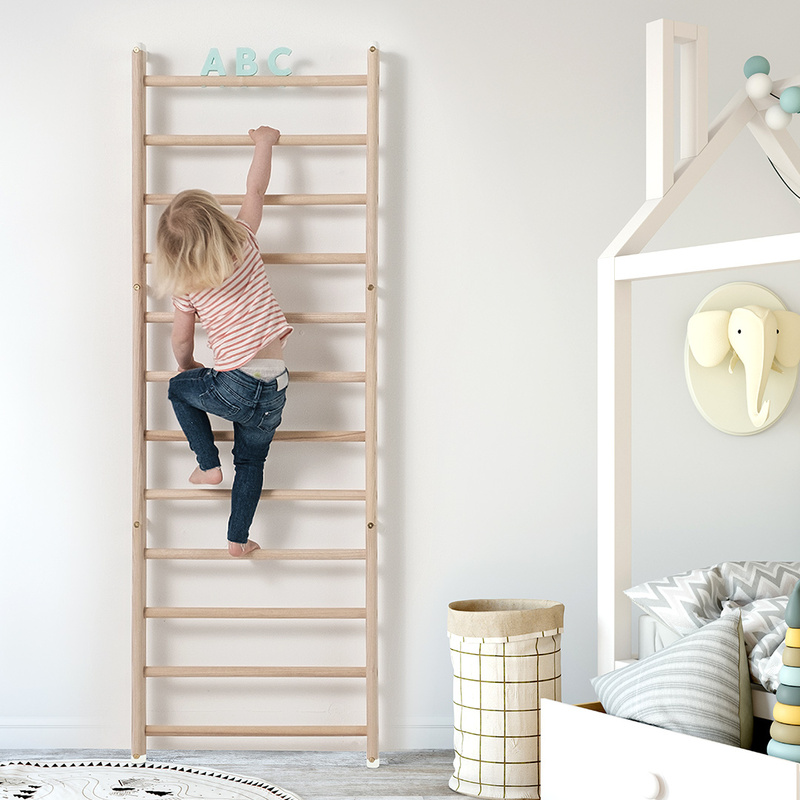 I’ve been on the lookout for functional products to make my life as a parent easier, without sacrificing aesthetic. Add quality to the mix, and we’ve got a keeper! After lots of pins & repins, I came across many top notch brands, and one of them is Norway-based KAOS (I’ve been wanting this bag for a while). 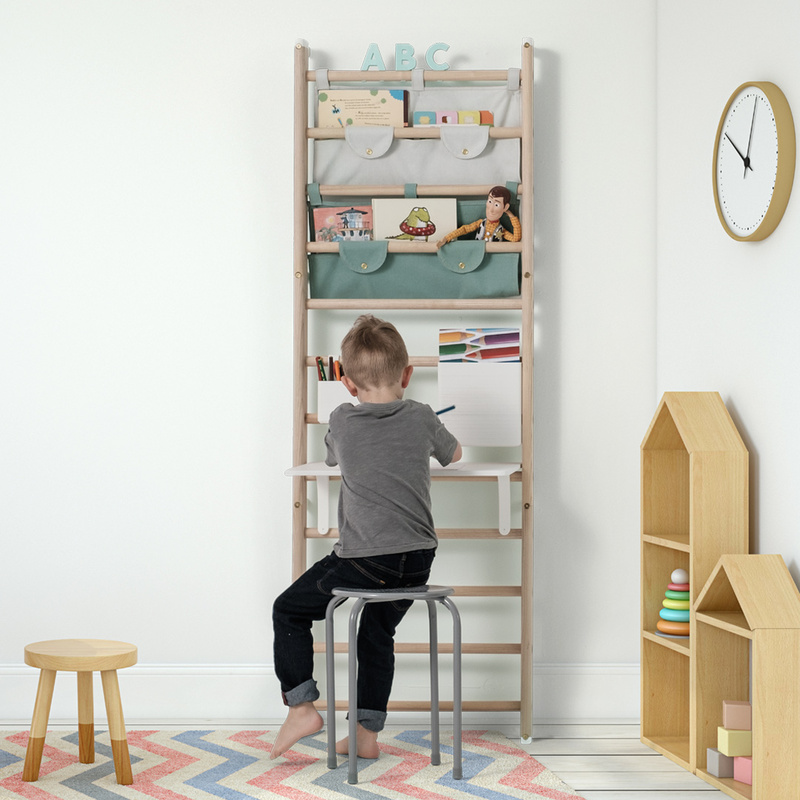 Founded by Mette Bordal Hansen and Gineline Kalleberg, KAOS is a design studio with a mission to create products for modern families. They just launched a campaign on Kickstarter for their latest idea, and they reached half of its goal in only two days! Now that’s impressive. But it is not totally unexpected, because the girls are definitely onto something. 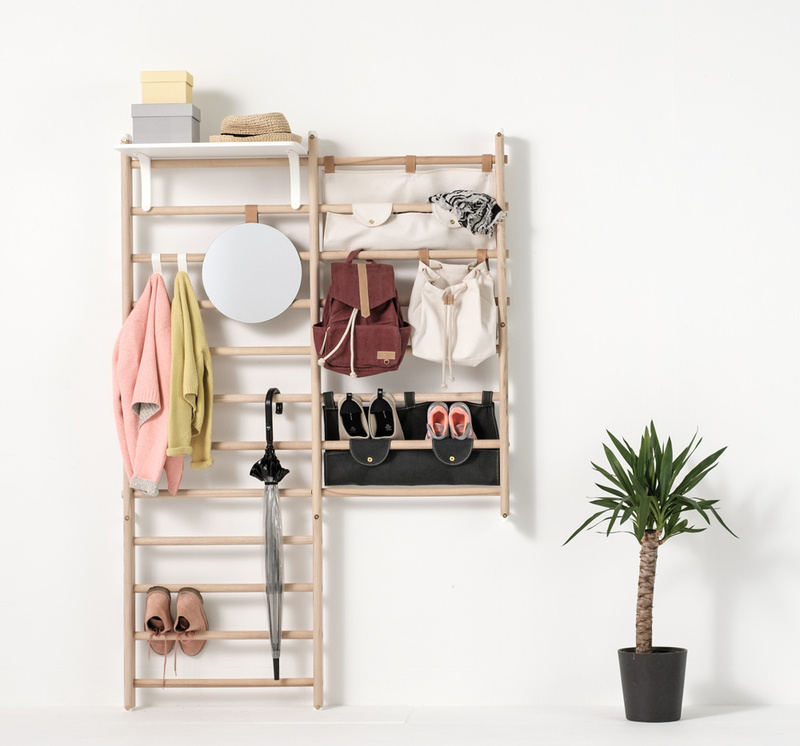 Enters Endeløs, born out of a nostalgia for the past – both designers grew up with wall bars at home – and the desire to create a product that would last and stay relevant. It is much more than a gym equipment, as it offers numerous possibilities for customization, thus the name (endeløs, which means “endless”). 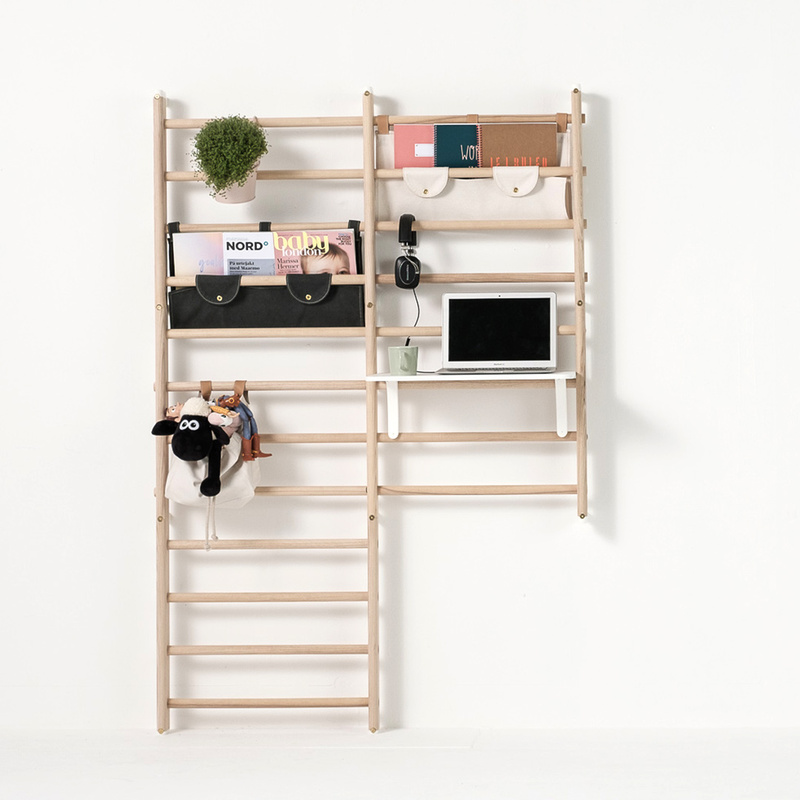 Designed in collaboration with Permafrost Design Studio, Endeløs is a flexible system of wall bars that would evolve as the kid grows. 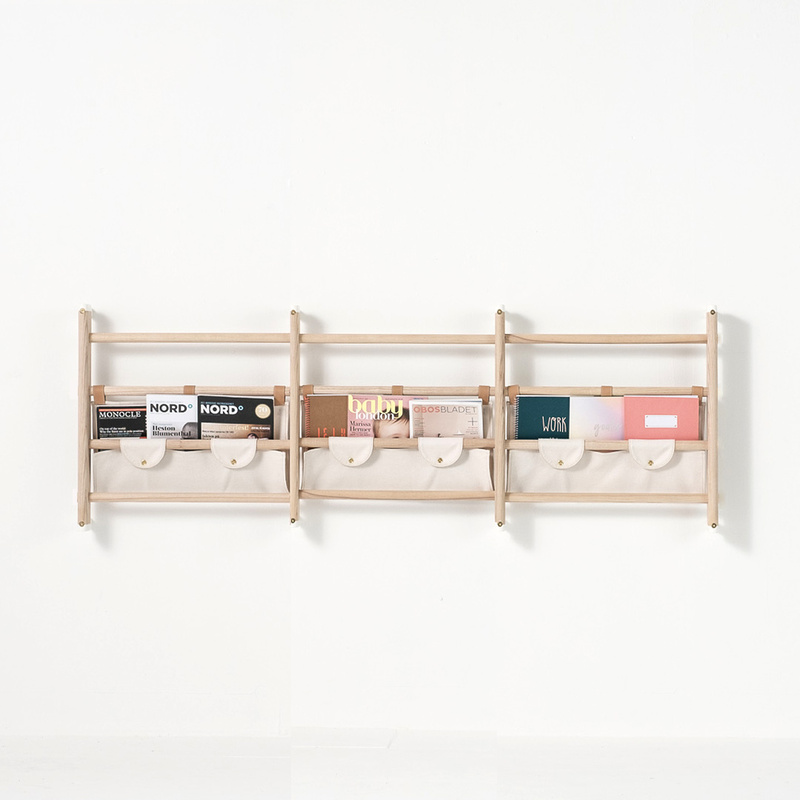 Made of solid ash with brass hardware, it can be turned into a functional furniture for storage, homework or crafts; Accessories like shelves, storage bags, organizers, a desktop and decorative letters were developed to help customize Endeløs. And they are all easy to snap on, snap off. Easy peasy. Plus: Endeløs would also look great in other rooms around the house, too. Pretty awesome, right? What a great idea. I’m definitely considering backing up the campaign. I’d love to have one!